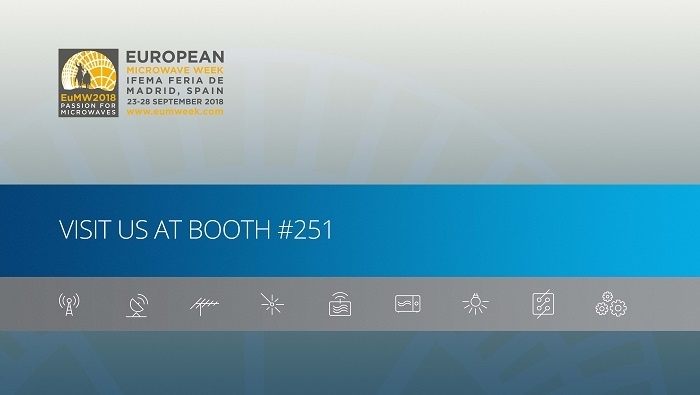 Ampleon announced its participation in the exhibition at the European Microwave Week (EuMW) 2018 which will take place in Madrid from 23-28 September 2018. In addition to showcasing their latest products at the exhibition, they will also present papers at various technical sessions. 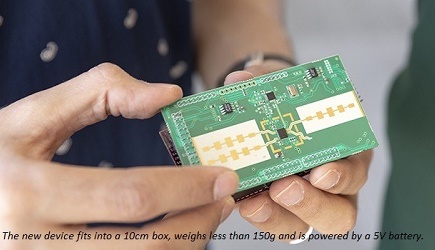 The company will support the popular Student School during the event by providing a platform to share innovation in the field of high-power semiconductors using Ampleon devices. Steven Theeuwen, Device Physicist at Ampleon, will present the paper “LDMOS technology for power amplifiers up to 12 GHz". This is tentatively scheduled for presentation in session EuMIC10 (Si-based high-frequency and power devices and novel microwave technologies) to be held on Monday, 24 September, starting at 16:10 in room N101 + N102. Ammar Issaoun (Principal RF Design Engineer) will discuss “Stability analysis and loop oscillation of multi-finger GaN FET cells for high power amplifiers” in session EuMC/EuMIC04-10 in the exhibition hall on Tuesday, September 25, between 13:30 and 15:30. Sergio Pires, Advanced Concepts and Systems Group Leader will chair the EuMC20: “Solid state high power amplifier” on Wednesday, 26 September from 8:30-10:10 in room N106. EuMW will host the European Microwave Student School featuring this year’s topic of “Microwave circuits in planar technologies.” Ampleon’s Dr. Osman Ceylan, Innovation Engineer, will host a session on power amplifier design on Monday 24 September at 17:00 in room N107. In support of the initiative, Ampleon will provide a platform for students to share ideas by sponsoring the “Video bandwidth enhancement for high power amplifiers” element of the student design competition. Click here to lear more about the European Microwave Week.